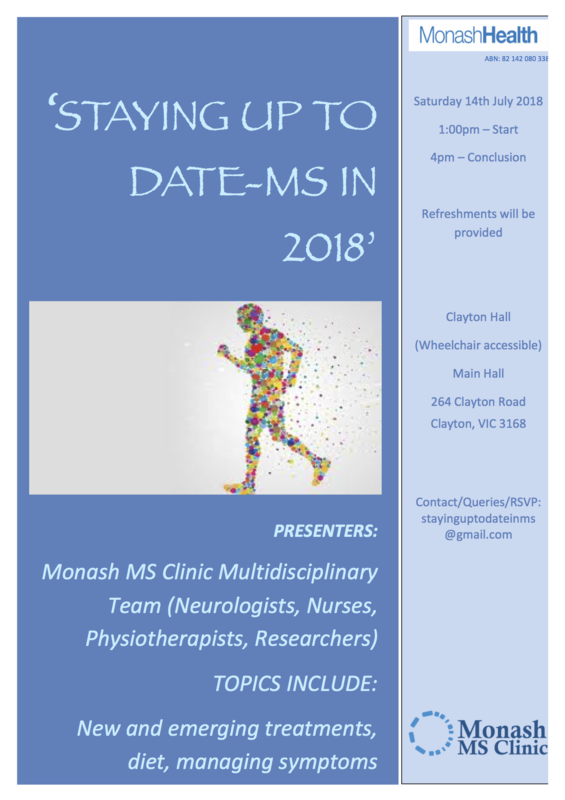 The MS Clinic at Monash Medical Centre was founded in 2001 and runs every week. The clinic has grown substantially over that time and provides state-of-the-art services for any patient with multiple sclerosis. There are two main types of MS, namely relapsing-remitting and progressive MS, and we care for all these MS patients. We see between 800 to 1000 patients with MS on a regular basis from anywhere in Victoria, but mostly from the eastern and southeastern suburbs of Melbourne, the Mornington Peninsula and Gippsland. The clinic is staffed by MS neurologists, MS nurses, a research nurse and a neurological physiotherapist. We also have links to other specialists and organisations if needed in the management of MS. We give attention to all of the complexities of MS management including diagnosis, MS drugs, relapse evaluation and treatment, and symptom management.